2. 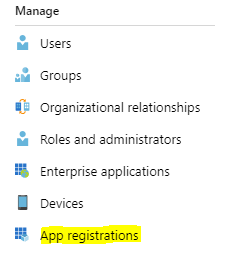 Go to Azure Active Directory from left side menu and click on App Registrations and then click on New Application Registration. 7. Click on Select Permissions option and under DELEGATED PERMISSIONS select the four permissions listed below.